Many homeowners believe that once a septic system has been installed, it will continue to work forever without any maintenance or repairs. Most septic systems, even with regularly scheduled maintenance, have a lifespan of 10 to 30 years. All homeowners should budget for a system replacement just as they would for a new roof or furnace for their home. Damages become apparent during a routine maintenance inspection, during a full system inspection or after a homeowner notices one or many of the warning signs of a failing septic system. 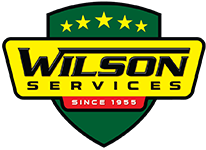 Should a problem arise during routine maintenance or during an inspection, we will immediately schedule an appointment for a repair or provide an estimate for replacing a component on your system. Grass grows faster and greener in one particular area of the yard, especially during the extremely dry summer months or snow melts quickly from an area during the winter. None of these warning signs indicate a system in failure, but each requires further inspection of the system. Septic system failures also can occur without any of these warning signals. For this reason, a yearly inspection of your system is recommended and some townships or communities even mandate a regular servicing and inspection of septic systems. The failing system could be caused by neglecting regular maintenance on your system. To solve this, simply have your septic system pumped, but this is usually only a temporary solution to a much larger problem if your system has been neglected. Always conserve and spread out water usage in your home, allowing your drainage area to rest in between loads of wash or showers and baths. We recommend you let a trained technician perform all repairs and diagnostics. If you want to inspect the system prior to a diagnostic, please remember that there are possibly toxic and explosive gases present in a septic tank. Never enter a septic tank for inspection without all proper safeguards in place. We are fully insured and have a current Home Improvement Contractors license from the State of NJ. Don’t be fooled by low cost estimates. Make sure your contractor is fully licensed and insured to work on your system and to guarantee the quality of work completed at your home.